There are a lot of iPhone problems out there and very many can really render our device unusable. But one of the most frustrating can be an iPhone stuck on charging screen. No matter how much time you spend trying to work on it, the problem just doesn't go away. If you are dealing with an iPhone or iPad stuck on the charging screen issue, this article will be very helpful to you. Here, we will analyze the major causes of this problem and how to fix it. Have you been leaving the iPhone plugged into a power source long after the device is fully charged, you may have unintentionally caused this problem. You should also be wary of charging your device even if you have enough power. When you have too many apps running in the background at some point you will experience battery problems even if it's not this one. So at the end of your day, it may be important to simply remove them. 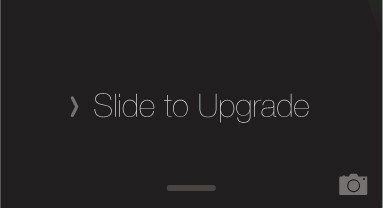 When your iOS is outdated, you may also experience this problem and many others. Updating the iOS is an easy to refresh your system and eliminate any bugs that may cause malfunctions. This is one of the easiest ways to fix an iPhone that is stuck on the charging screen. Try removing the iPhone from the charging cable and place it face down, flat on a table. Using a hairdryer, heat the device's right side where the battery is located for about 2 minutes. Put the device back into the charging code and you should see that the red battery logo associated with this problem has been replaced by the Apple Logo. Use the device until it is completely turned ff. You can turn of high battery consuming functions like increased screen brightness and use the internet to drain it faster. Now plug in the device and wait for it to power up. Hold the sleep and Wake buttons to turn it off and let the iPhone charge for at last 5 hours. After 5 hours, turn on the iPhone while it is still connected to the charging cable. When you don't see the dreaded charging screen, you can unplug it. A Recovery mode may help with iPhone stuck on charging screen. To do this, you just need to connect iPhone to iTunes and press some buttons for about 10 seconds, and you will successfully enter the Connect to iTunes screen. Kindly note that the buttons vary from differnt iPhone and they are showed as below. And your device will exit the Recovery mode after iTunes restore. To save your trouble, a freeware called ReiBoot can help you to get iPhone into recovery mode without pressing any buttons or using iTunes. Simple download the software and connect your device with it. Click "Enter Recovery Mode" from main interface and you are done! After that, you can click "Exit Recovery Mode" option to restart and refresh your iPhone. However, in most of the times, Recovery mode cannot help with iPhone stuck on charging screen issue. In this case, you will need to restore your device to fix this problem. You can either choose iTunes or ReiBoot. Here I will not recommend to use iTunes as it may wipe all your data. Instead you can give ReiBoot a trial. The whole repairing process is fast and will not cause data loss. In the following part, I will show you how to use ReiBoot to fix iPhone charging issue. 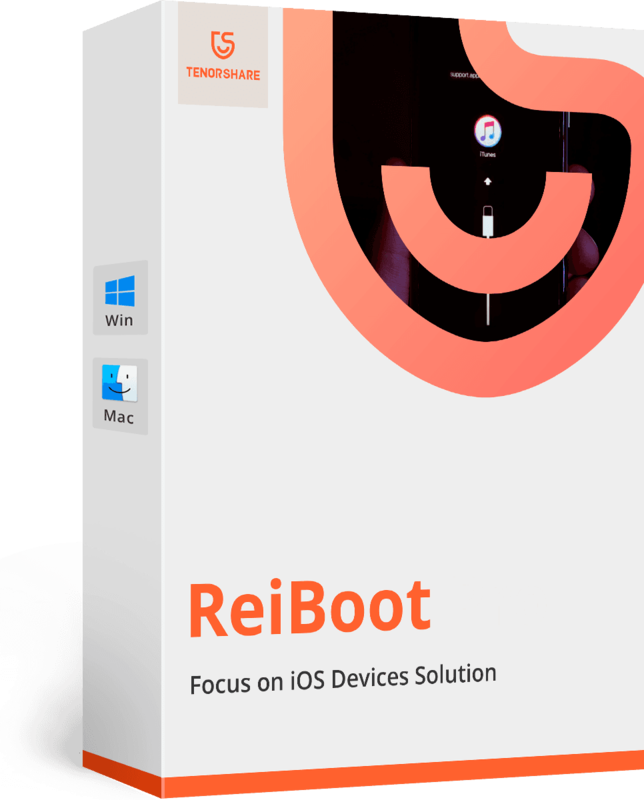 Note: ReiBoot only supports to fix software issue. It's the hardware failure like battery, it will not help and you can only resort to Apple. Step 1: Connet your iPhone with ReiBoot and select "Repair Operating System" from the main interface and thet hit "Start Repair" button. Step 2: You will required to download a firmware first before repair. Click "Download" button to move on. Step 3: Start repairing process once the firmware is ready. Once it's completed, your iPhone will automatically reboot and get back to normal. For this problem and all other software related problems that can cause your device to behave abnormally, you may want to try Tenorshare ReiBoot. This third-party iOS system fixing tool can be used to eliminate just about any issue you may face. It can be used to fix an iPhone stuck on the Apple Logo, the Blue Screen and many more. It is also one of the easiest solutions out there with a simple to use set of tools for just about any problem. If your iPhone is stuck on charging, you now have a few simple, yet effective solutions to help you fix it. Share your experience with us in the comments section below.